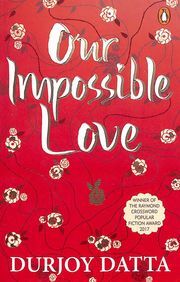 A romantic bestseller, Our Impossible Love is centered around the growing up years of a young Aisha, her journey of self-discovery as a woman and love. The love story and relationships get more complex when the family learns that Aishas brother is gay. After the initial shock, the childhood sibling love comes to the fore and the family comes around to understand the complex nature of the young man. Our Impossible Loves explores human relationships in all their complexity, juxtaposing a manwoman relationship with a brother-sister love and that of gay love.